I concur, statement has merit. Edit: Hmmm, I was just thinking that Wifey has been trying to confiscate my PM9 for herself. "Don't be mad, Honey. Here, you can have that Kahr that you wanted." You have now joined the company of us who are ardently anticipating the arrival of the R-45. Ok I'll bite. I have read some of the posts on the R-45 on the forum. I am not sure if you are joking or not. So I will ask the question point blank. 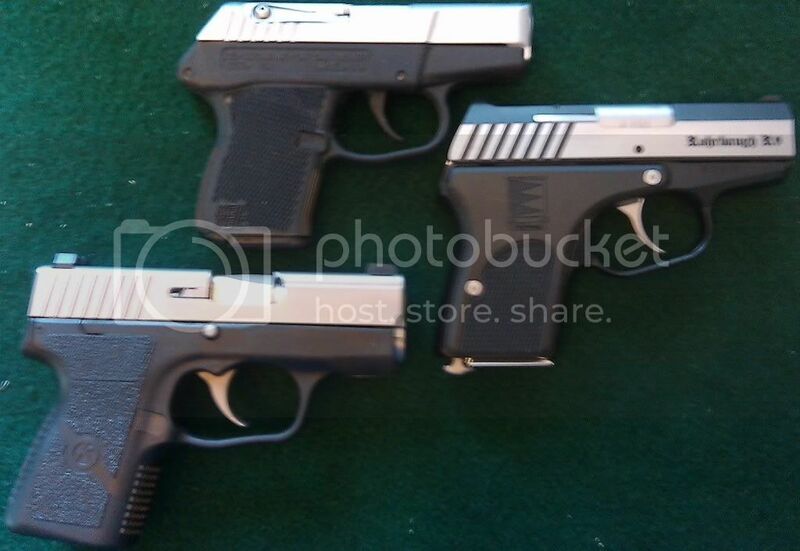 Is this a spoof or are there really plans for Rohrbaugh to make a sub-compact in .45ACP? If so, I am guessing it would have to be larger in size, unlike the different Seecamps. Oh, it's coming all right! I'm sure it will bigger. If it is the same size as an R9, then the brothers will have made genius strides in metalurgy and design. It is definitely coming. When we don't know, but I understand there is a proto type already made with a few that have seen it. So we just wait..................... A few of us already have a deposit in with Tom from the Irish Guard Firearms who is a member here on the Forum.